There is a crisis of trust in the business world. According to the 2016 Edelman Trust Barometer, a global survey of 33,000 people, almost one in three people don't trust their employer. Although we tend to emphasise the importance of harmony, the real secret to team effectiveness may be in stirring up conflict. That's bad news for business. Countless studies show that employees who perceive their leadership as trustworthy are more engaged, satisfied, productive and honest. 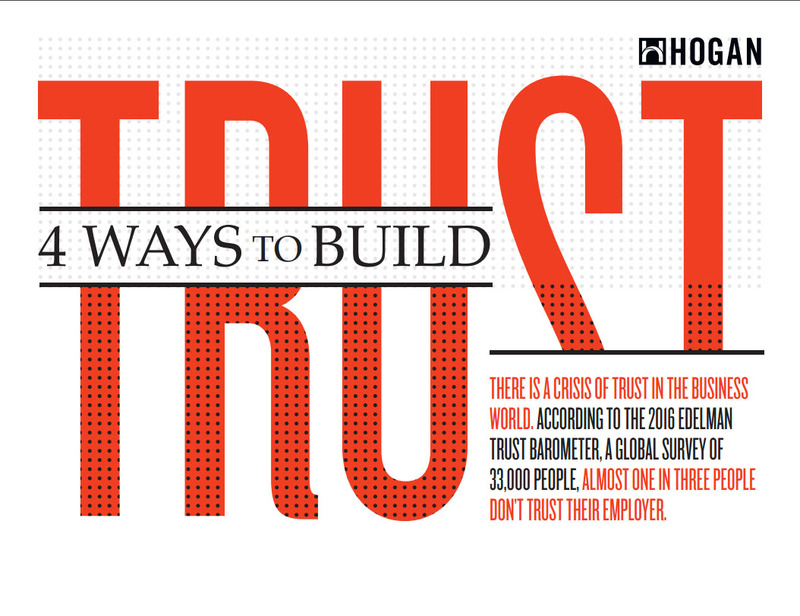 This free eBook explores 4 ways that you can easily build trust in your workforce.